The Lincoln Financial Field will see the Philadelphia Eagles host the Minnesota Vikings for the NFC Championship game this Sunday, January 21. The fact alone that the Vikings are part of this game is something hard to believe for many, a crazy play lead them to a 29-24 win over the Saints and now they will be playing their first championship game since 2009; on the other hand, the Eagles beat the Falcons 15-10 earning a pass to the championship game which they last disputed in 2008. The two best defenses in the NFC will be measuring up against each other in a match up that promises to be exciting from beginning to end. A good defense is not all these two teams have in common, backup quarterbacks Nick Foles (Eagles) and Case Keenum (Vikings) have certainly played an important role in getting their teams up to this point with ups and downs, and will have a lot of weight on their shoulders come Sunday when they cannot afford to make mistakes, in this sense Vikings definitely have the best chances with Keenum, he has been consistent and reliable up to this point. The Vikings are a -3 (line opened up at -4.5) favorite with the total score going under 38.5; the line reflects what has mentioned above, both teams are very similar in their strengths and it is the kind of game that can go either way. 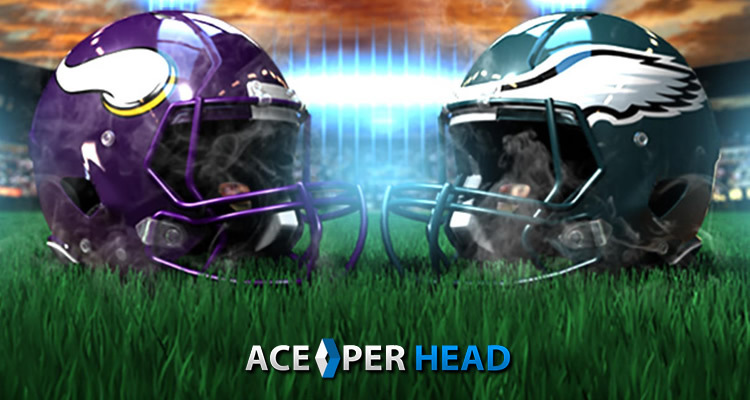 The Eagles have the home advantage and this will be important considering that the Vikings usually great defense concedes slightly more while on the road, yet they are still the underdogs playing in their own field; if Nick Foles is able to focus and make for a good game, and the Eagles defense does the right work of containing the Vikings, they have a good chance of taking this game; from a gamblers point of view taking the points may be a good idea in a matchup this close. Minnesota Vikings should take advantage of Foles’ weaknesses, and also of their own QB’s (Case Keenum) strengths, he is going through a great moment, he is motivated and in need to prove himself, and this will carry the team a long way. Vikings will also need to bring back a tight defense, it’s not that it hasn’t been good, but it has slipped here and there. A match that can certainly go either way, have fun placing your bets this weekend to add excitement to a great game. AcePerHead.com is once again providing a large selection of props, while as usual providing first class customer service and lines.